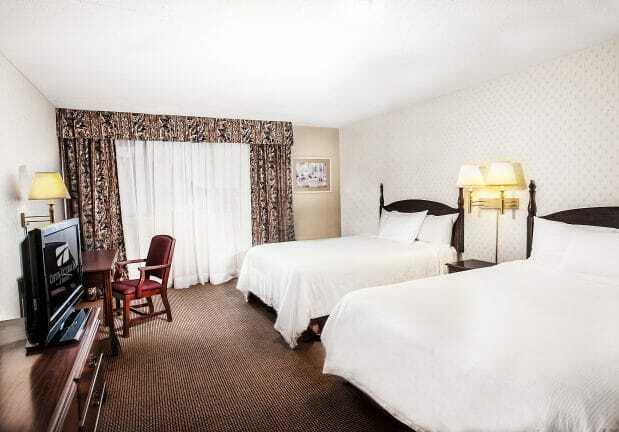 The Clifton Victoria Inn at the Falls is a 3-star hotel located 1 block from all of the excitement and action that Niagara Falls has to offer. 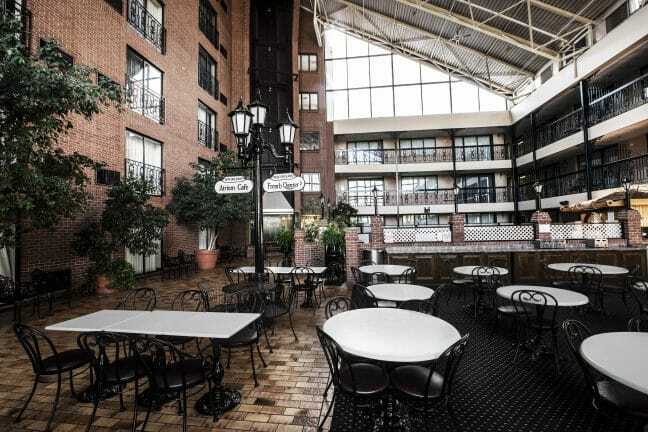 This hotel features great hotel amenities and exceptional complimentary services.The Clifton Victoria Inn at the Falls is located across the street from Falls Avenue Resort, North America’s largest Indoor Waterpark and Hotel Complex. Guests are greeted at the Clifton Victoria in a stunning 6-storey indoor atrium featuring a swimming pool, sauna and bistro style sitting area and lounge where a complimentary hot breakfast is served for all guests each morning. Other complimentary amenities include: internet, on-site parking and HBO Movies. The Clifton Victoria Inn at the Falls guestrooms offer a work desk, sitting area, free wireless internet access in each room, free in-room movies, free local calls, complimentary coffee/tea and newspapers in the lobby, rooms now feature an upgraded bathroom with a Waterpik Shower head and hairdryer. 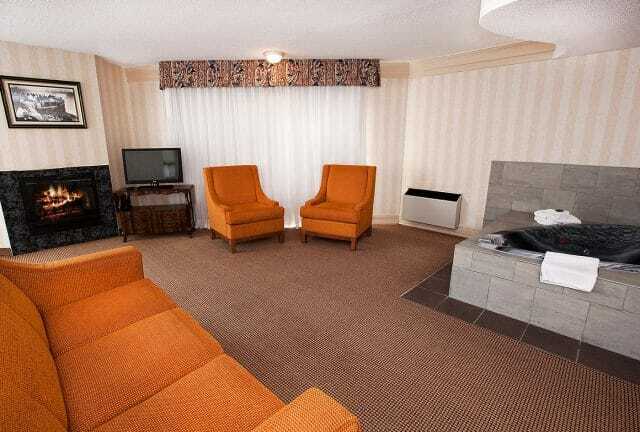 Our Junior Suites also include a mini fridge within the room. Guests at the Clifton Victoria Inn can start the day with a complimentary Hot/Cold Buffet breakfast that is available for all guests of the hotel each morning. The buffet offers a selection of pastries, bagels, hot and cold cereals, fresh fruit, coffee, teas, juice, a daily featured Hot item (sausages, omlelettes, waffles), and featuring a Make your own Waffle Station. The Hotel also features an indoor pool and sauna for those who love to swim. The Pool also offers adult only swim hours from 10:00am-10:00pm daily. 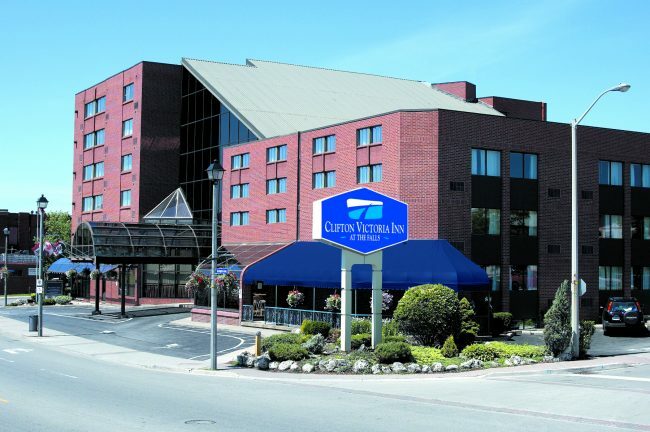 The Clifton Victoria Inn is one of the few hotels included in Falls Avenue Resort. The Clifton Victoria Inn at the Falls is located directly across the street from the Fallsview Indoor Waterpark and all Falls Avenue attractions such as Adventure City, the Hershey Chocolate shop, Hard Rock Café, Fallsview Restaurant, Massimo’s Italian Fallsview Restaurant and Prime Steakhouse. 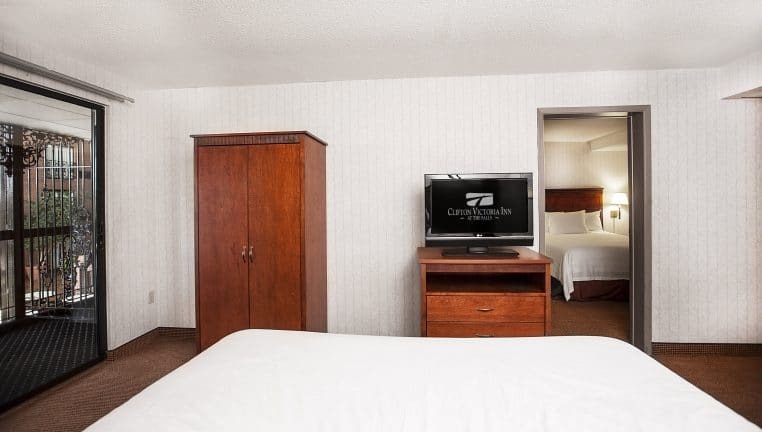 The Hotel is within a 5 minute walk to Niagara Falls and the Clifton Hill Tourist Area and is at the front steps to Casino Niagara – home to 80 gaming tables, 1800 slot machines and video gaming terminals and restaurants. The Clifton Victoria Inn offers free on-site parking for hotel guests.